Our country’s top conglomerates have joined forces to redevelop and rehabilitate the Ninoy Aquino International Airport (NAIA). The “super consortium” includes Aboitiz InfraCapital Incorporated, the Ayala’s AC Infrastructure Holdings Corporation, Lucio Tan led Asia’s Emerging Dragon Corporation, Andrew Tan led Alliance Global Group Incorporated, Metro Pacific Investments Corporation, Gokongwei led JG Summit Holdings Incorporated and Gotianun led Filinvest Development Corporation with a combined capitalization of over PHP 2.2 trillion. During a press conference, spokesperson and vice-president of Aboitiz InfraCapital Jose Emmauel Reverente said that their group has formally submitted their proposal to the Department of Transportation (DOTr) last February 12. He also added that they will envision a better NAIA and make sure that our airport will be able to accommodate all the passengers. Jose Ma. K Lim, who is the president and CEO of MPIC, revealed last week that they all agreed to have a partnership with Singapore’s Changi Airports International Private Limited for this project. CAI has an impressive portfolio as a leading airport consultant and investor at the global aviation market. 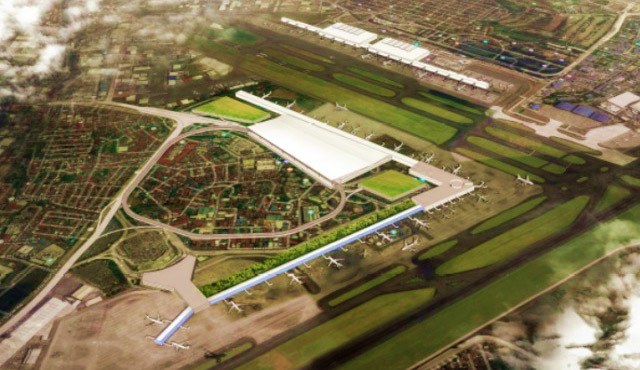 They will give technical support in operations optimization, master planning and commercial development of NAIA. For the said project, it will be divided into 2 phases. Phase 1 is for the expansion and improvement of previous terminals while Phase 2 is for the development of additional runways, passenger terminals, associated support infrastructure and taxiways. The consortium spokesperson also revealed they will include linking 3 terminals and connect NAIA to existing mass transport system at Metro Manila. Passenger traffic is continuously growing and our current runway configuration won’t be able to assist them. Additional runways will make sure the capability of NAIA to serve potential capacity of 100 million passengers every year. However, the consortium will compete with the partnership of Megawide Construction Corporation and Social Security System. Manuel Louie Ferrer of Megawide stated that they welcome healthy competition for infrastructure sector.